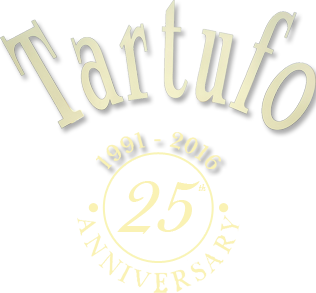 Tartufo, your chocolate manufacturer in Leuven for scrumptious pralines and truffles made in our own workshop. Business-owner Philip Benoit is passionate about chocolate. Over 25 years ago he began his own business in Leuven specialising in the production of unique flavour palettes in chocolate. All of the products are made using fresh butter. Visiting this chocolate manufacturer is a delight for the eyes. 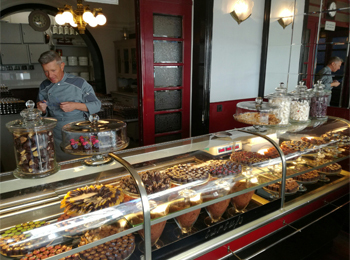 The full range of 56 types of praline and 12 types of truffle are tastefully displayed in the charming shop. 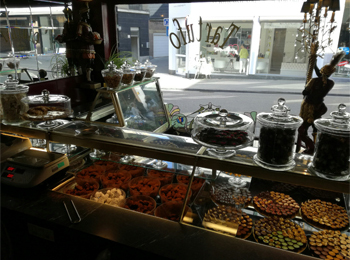 Chocolaterie Tartufo is located in the centre of Leuven, close to the station. Business-owner Philip Benoit loves to indulge his customers with new flavour combinations. And if it’s a beautifully finished gift box with filled with pralines or truffles you are looking for, then you have come to the right address. The Tartufo range features gift boxes from 5 euro to 60 euro.